The Department of Radiology at the Preventicum Diagnostic Clinic offers patients modern diagnostics and therapy based on the use of radiation and radioactive substances. The department is headed by Dr. med. Thomas Zadow Eulerich and Dr. med. Ariana Biancosino. The department has the state-of-the-art equipment, such as 3-Tesla Skyra MRI and cutting-edge CT (computed tomography), during which doctors take care that the patient receives the minimum dose of radiation. High-resolution 3D images of the internal organs are of particular importance for ensuring safe diagnosis and effective therapy. To obtain a reliable clinical picture, the specialists of the department necessarily discuss the examination results together with the radiologists and specialized doctors. The Department of Radiology mainly deals with the diagnosis and treatment of cancers, sports injuries, orthopedic diseases, cardiovascular diseases (including MRI and CT of the heart). Also, it carries out imaging diagnosis of the prostate. Dr. med. Thomas Zadow Eulerich had his internship training at the Institute for Diagnostic and Interventional Radiology and Neuroradiology at the University Hospital Essen. His specialization is tomographic diagnosis (MRI and CT) and interventional pain therapy. 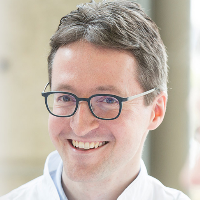 After the corresponding advanced training in the North Rhine Medical Center, Dr. Thomas Zadow Eulerich headed the Department of Quality Management in a modern clinic. Now the doctor has a successful practice in the Department of Radiology at the Preventicum Diagnostic Clinic.